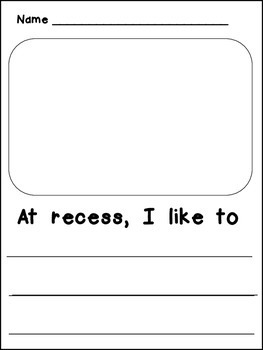 This emergent reader little book will help young students practice early reading skills, while reading about fun at recess!! 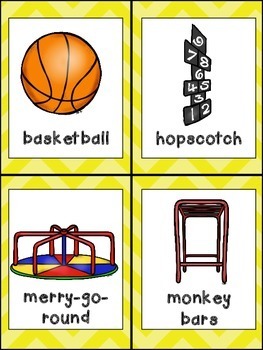 Also included are pocket chart cards for the following words: swings, slide, merry-go-round, basketball, seesaw, hula hoop, monkey bars, and hopscotch. These can be used as a resource in student writing. 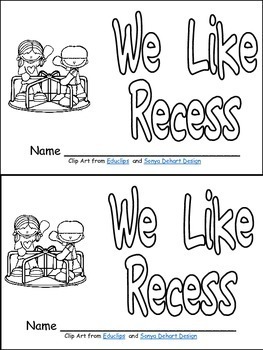 There are 4 different student writing papers for students to write or draw for the prompt "At recess, I like to ..."
you might like some of my other “back to school” little books for beginning readers. 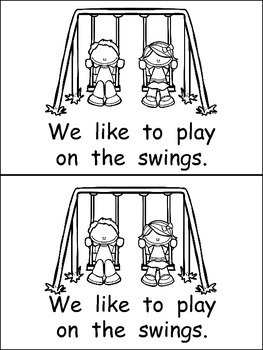 **Emergent Readers**Thanks for looking and happy teaching! !